Washed all the snow away! Phooey! But it's so warm, I can wear my leggings by themselves. 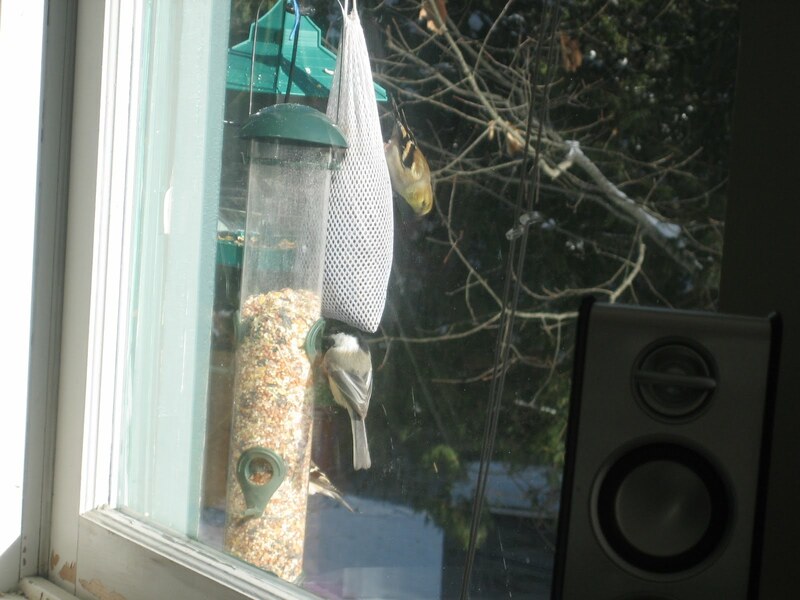 The birds are (bottom) chickadee (common, the state bird of Maine) and the one above is, I think, a kind of finch known as a siskin, an olive morph, which is not very common.